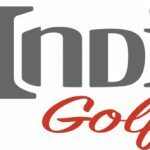 VISTA, CA, March 22, 2018– Indi Golf, design and manufacturer of high performance golf clubs, introduces new StingRay TT wedges featuring optimal spin, control and forgiveness. The StingRay TT conforms with the Rules of Golf and can be played in competition. StingRay TT wedges have been engineered with grooves which run along the entire length of the face to optimize launch, improve control, and increase spin. This design increases spin by 25% on a full swing measured using Foresight GCQuad. “After designing our original StingRay wedges that spin 50% more than competitor wedges, our challenge was to design grooves within the Rules of Golf that would still create optimal spin and outperform the competition and we successfully achieved that goal,” added Lang. In addition to increased spin, Indi Golf’s proprietary ScoopBack design creates maximum forgiveness by moving mass higher in the face, and toward the toe. This optimizes the location of the club’s CG, making the head more stable on off-center contact, helping shots feel better, go straighter, spin more and end up closer to the hole. The ScoopBack design is not a muscle back or perimeter-weighted design but is a combination that brings the player the best of both worlds. ShortHosel – Creates discretionary weight that has been position higher in the face and more towards the toe, resulting in higher performance, better feel, and more forgiveness. Optimized Bounce – Allows the head to glide through the turf yielding solid contact for the grooves to grab the ball and impart maximum spin while producing ideal launch conditions. The StingRay TT wedge is available in lofts of 46, 48, 50, 52, 54, 56, 58 and 60-degrees, and conforms with the Rules of Golf. MSRP is $159.99. The StingRay TT wedge is available for pre-sale at www.indigolfclubs.com.